Category 3 cable, also known as Cat 3 is an unshielded twisted pair (UTP) cable used in telephone system wiring. When discussing voice cable, different applications and cable grades can come into play. With the advent of Voice over Internet Protocol (VoIP) the future of telephone cabling may change dramatically. The fact of the matter is, we are still seeing over 90% of companies wiring for voice the same way it’s been done for the last 20 years: using voice grade wire and standard RJ11 jacks at the user end. In the wiring closet, the terminations of choice are still 66 blocks, 110 style terminal blocks (developed by AT&T), Bix blocks and Krone fields. These configurations give companies, and the majority of phone vendors, all the flexibility they need at a very reasonable cost. 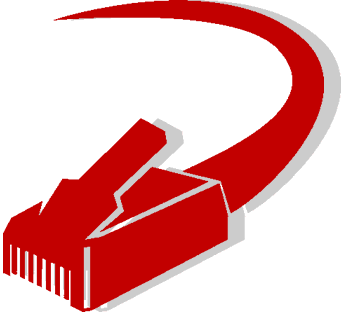 When voice cable is being installed in conjunction with your network cabling, the labor cost is greatly reduced.  When voice and data cables originate from the same closet (and when the data cable is purchased from ACT), Action Communication Technology, Inc. charges what equates to just $20.00 labor per voice cable for installation. The cost of Category 3 cable, whether plenum rated or non-plenum, is very reasonable in relation to Category 5, and the jacks, usually 6 conductor USOC, are inexpensive. We generally split the 4 pair voice cable at the user end, and install 2 RJ11 jacks. This is possible because the large majority of phone systems on the market today require only 1 pair of wires, some others require 2 pairs. This gives our customers the option and flexibility to install any combination of phones, modems and analog lines at any location. For some customers we will install multiple Category 5 or 5E cables to each user. Their intention is to use one or more of these cables for their telephones and/or modems. Obviously this configuration lends itself to great flexibility, because if they need a third or fourth network connection the network cable is already in place, but at a lesser cost. Each cable is Category 5 rated and needs a separate CAT 5 jack at the user end and a separate port on a rated patch panel in the wiring closet, all more costly than the Category 3 alternative. Unless the individual company has many heavy network users (those with more than 2 networked computers on their desk) we usually recommend the Category 3 solution. Let us work with you to develop a voice category 3 cabling system you can use to manage all of your cable plant, including all the connectivity, connectors, pathways, and device relationships to truly visualize and understand your network’s infrastructure. Let’s get started today, just give us a call.